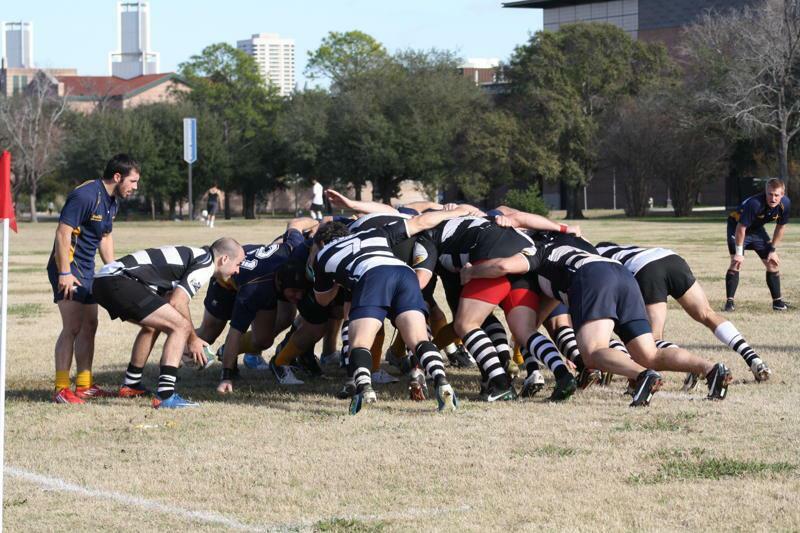 Perfect conditions for rugby met the HURT 2NDXV as they took the field for their first game of the year against the Cougars of the University of Houston. With a number of rookies on both sides of the pitch antitpation was high to see what the next crop of players had to offer. 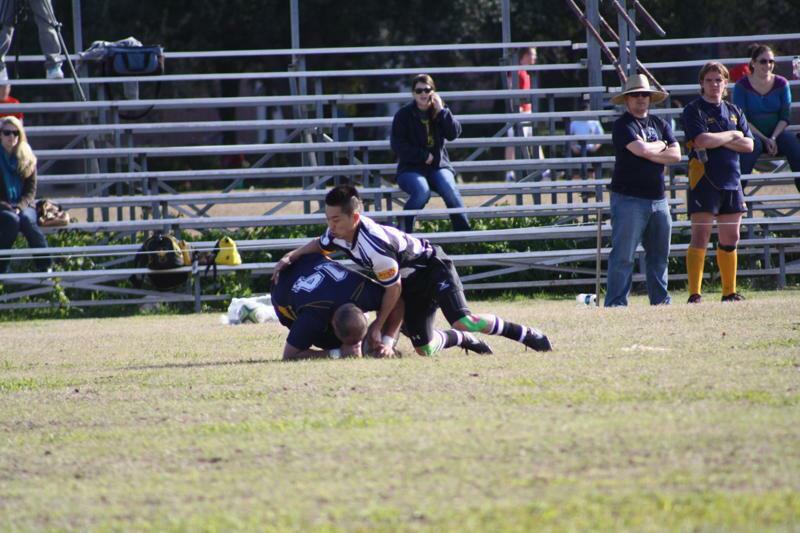 It didn’t take long for HURT to open its scoring account as scrum half Rafic Elahmad took a perfect inside pass five meters out from the Cougar line to score under the posts after three minutes. A Chip Price conversion and it was HURT 7-0. 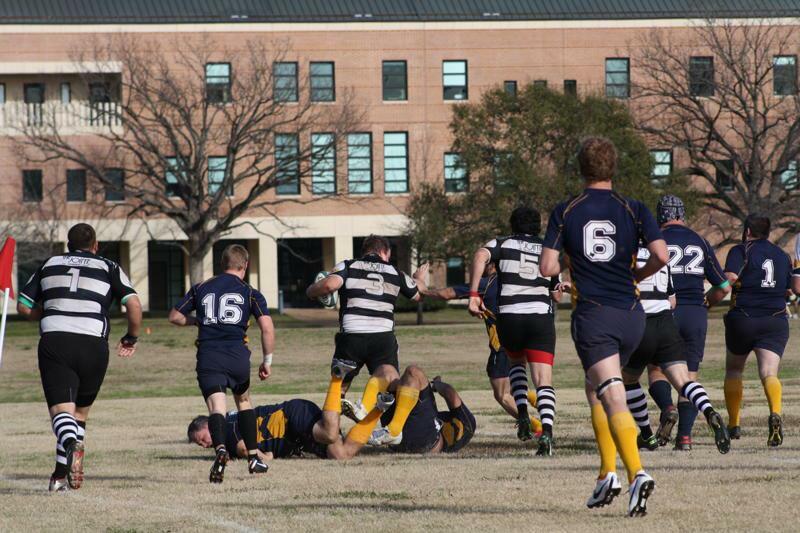 The next twenty minutes was back and forth with a lot of ruck and maul work in the center of the field. The Cougars took advantage of some ill discipline around the breakdown by HURT and slotted two penalty kicks to bring the score in to 7-6. HURT snapped back into gear and showing great support awareness went 70 meters down the right wing to put new English recruit Andy Thornton over the line after the ball went through what must have been nine sets of hands! Eight minutes later Justin Blocker found some space out wide and recovered his own kick to score HURT’s third five pointer of the day. Tough defense in the middle from Pablo Cancino, Kyle Brown and Nate Stiers continued to stifle the Cougar attack and after thirty five minutes HURT eight man Franco Basarabescu crashed over to take the score to 22-6. 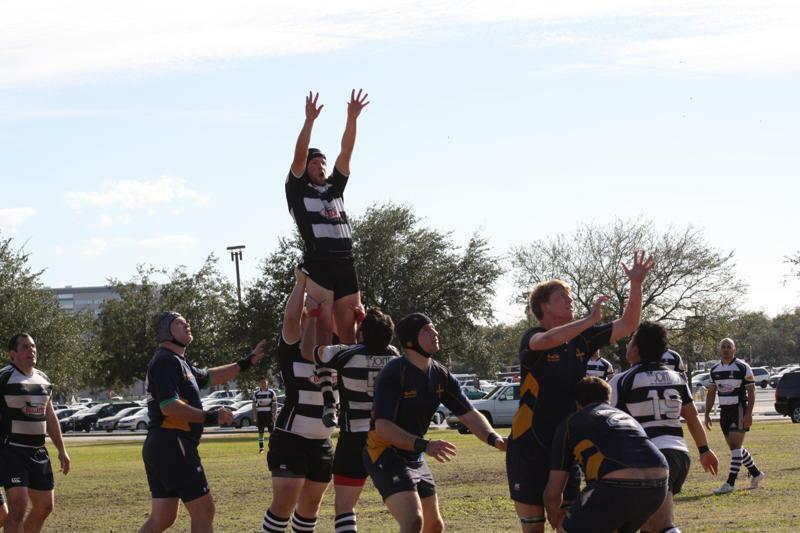 A lapse in concentration allowed the Cougars to get a lineout five meters out from the HURT line. A well constructed maul later and they had scored their first try of the day, making the score at the break HURT 22-11. 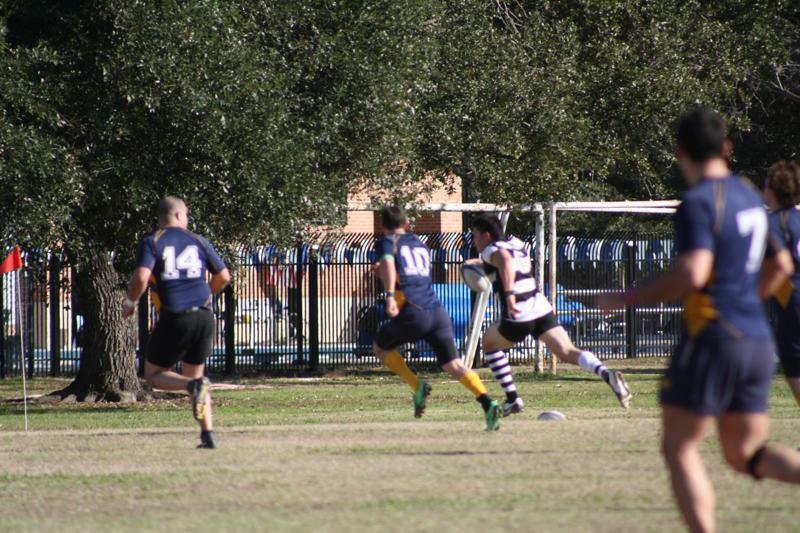 HURT was next to score when the game resumed after a crisp backline move put center Fernando Sanchez in the clear and with an offload to Rafael Casas another try was on the score sheet. HURT 27-11. 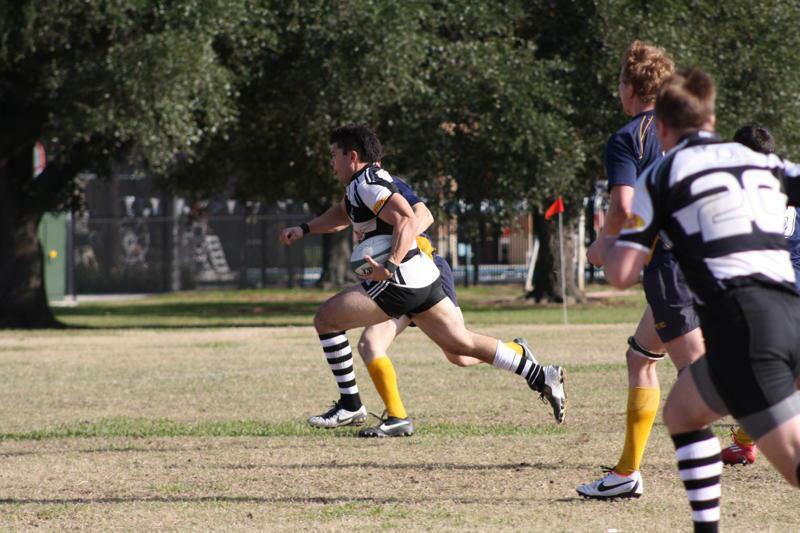 Spurred on by their hard running fly half the Cougars found some reserve plowing up the middle and scored their second try to bring the scores closer. 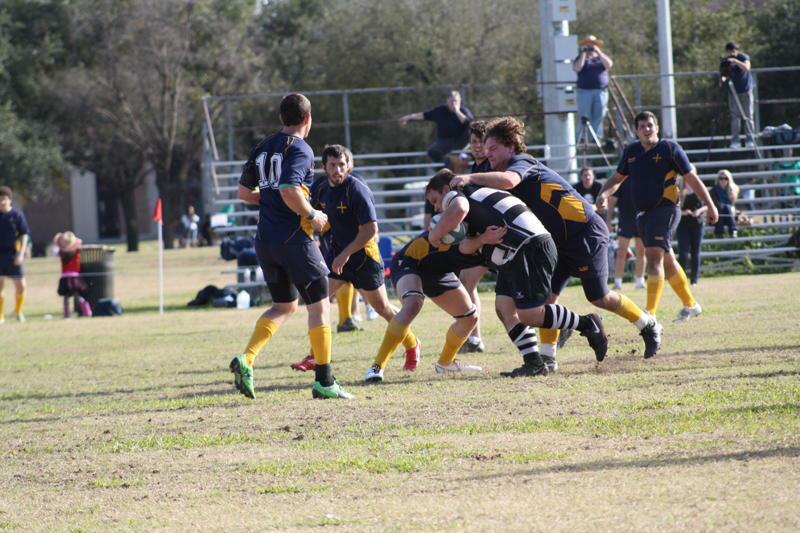 This newfound vigor rubbed off on the forward pack and the Cougars crashed over again to bring them within a converted try of an upset. HURT 27-21. HURT circled the wagons and re-energized their defensive line repelling numerous attacks on their line in the last three minutes. The whistle was blown for full time with HURT coming out victors over the late charging Cougars 27-21. 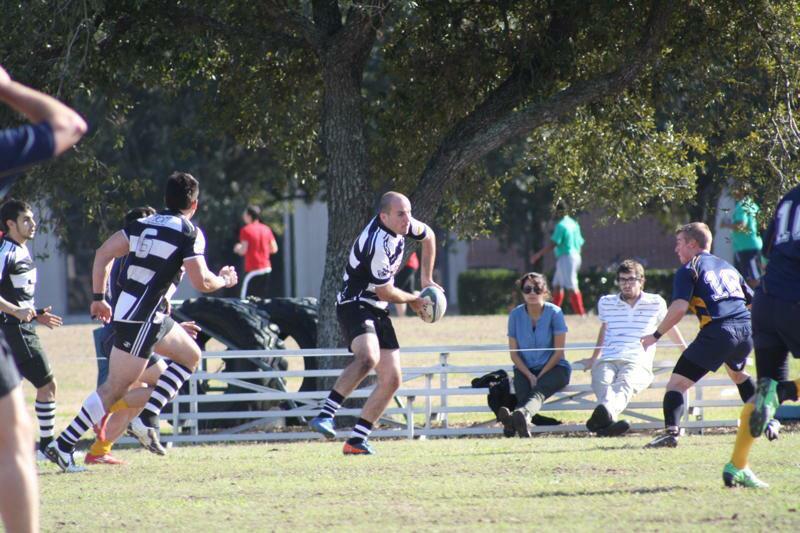 Saturday at Rice University Rugby Field in Houston broughtperfect conditions for rugby. A cloudless blue sky and sixty six degrees greeted HURT and DARC as they kicked off for eighty minutes of the game they play in heaven. Only two minutes had passed when HURT opened its account with Justin Blocker flying down the sideline to score after stronglead up work by Dennis Walker and Carl Newman. Five minutes later Walker would capitalize on a red zone scrum opportunitywith a splendid “Maori sidestep” over the DARC fullback to take the lead out to 12-0 after just seven minutes. 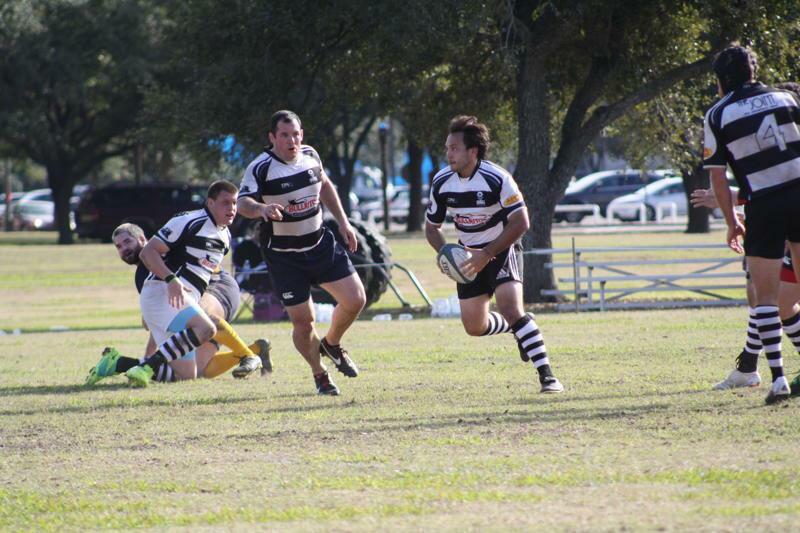 At the thirteen minute mark Walker took advantage of poor defense again to score his second try, converted by fly half Scott Thompson the game had barely a chance to restart before Walker’s center partner Marshall Brown streaked away and scored in the corner. HURT 24 DARC 0. 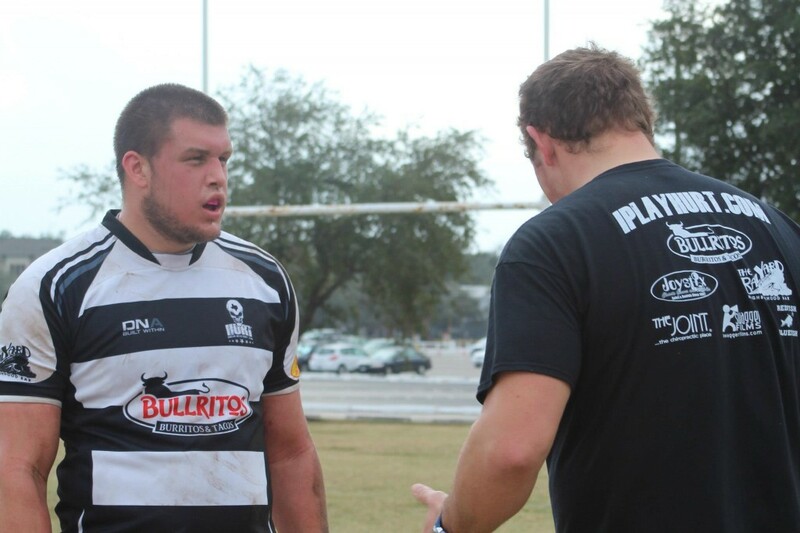 Second tries to Justin Blocker and Brown took HURT into the halftime break with a commanding lead of 34-0. 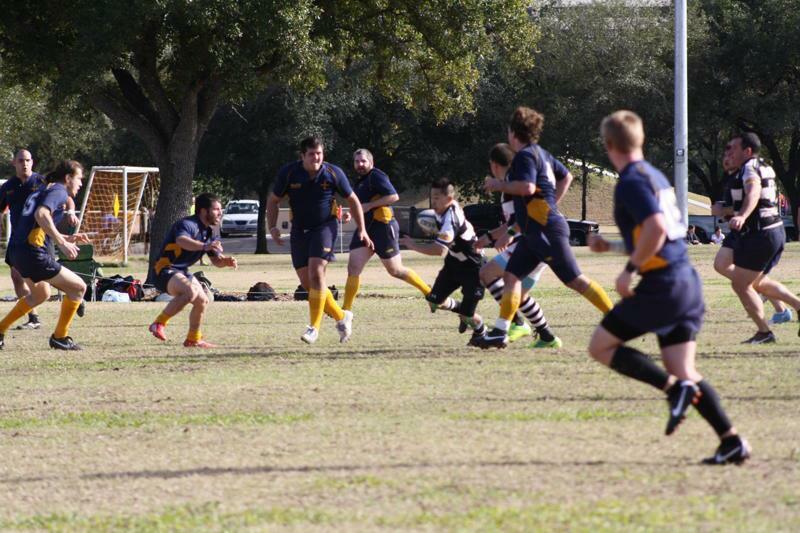 The second half started very similar to this first except it was a different Blocker brother opening the scoring, Jayson Blocker carved a hole through the middle of the field and crashed over. It looked like one way traffic again but no one gave DARC that message and through a crafty set piece off a lineout they took advantage of a lapse in the HURT line and opened their scoring account with the Number 8 scoring their first try. 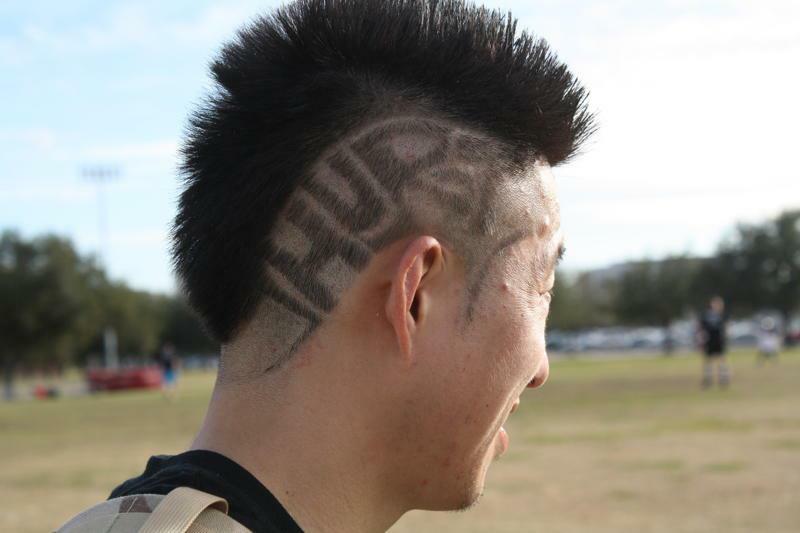 HURT 34 DARC 7. 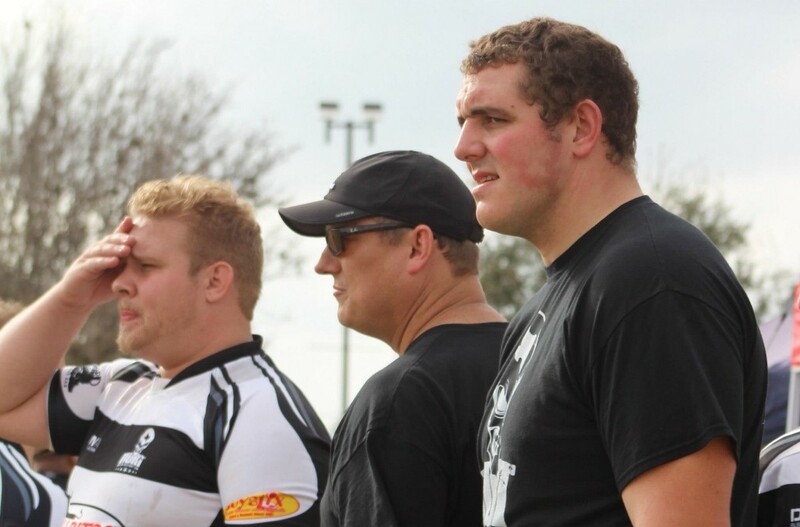 DARC’s hopes of a comeback were soon dashed by a brilliant one man effort by HURT prop Jon Linnett as he bulldozed over six defenders on his way to score. The next ten minutes was a tough back and forth affair until flanker Matthew Echezabal broke through to score under the posts and with Rafael Casas conversion HURT crossed the half century. HURT 52 DARC 7. 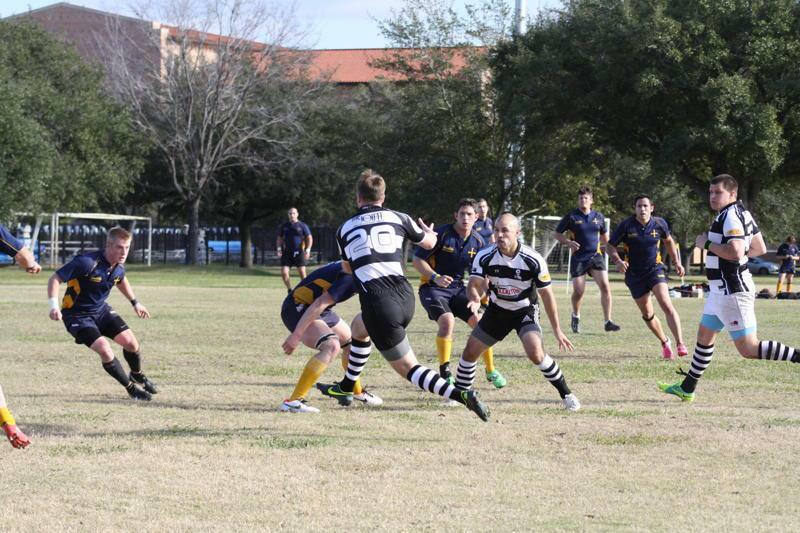 A second try to Jayson Blocker, to take the Blocker family tally to four tries for the day led to Laurence Hermann scoring a late well deserved try in the sixty fifth minute. 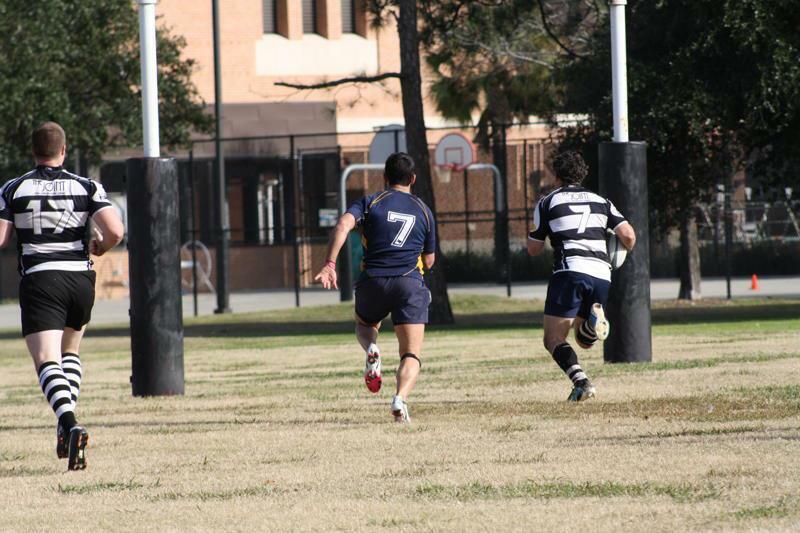 With both tries converted by Casas the score sat at HURT 65 DARC 7. In a good show of heart and determination DARC’s forward pack found a lost gear for the final ten minutes and after camping in the HURT twenty two for the majority were rewarded with a final minute try to close out the game. Final score HURT 65 DARC 14. 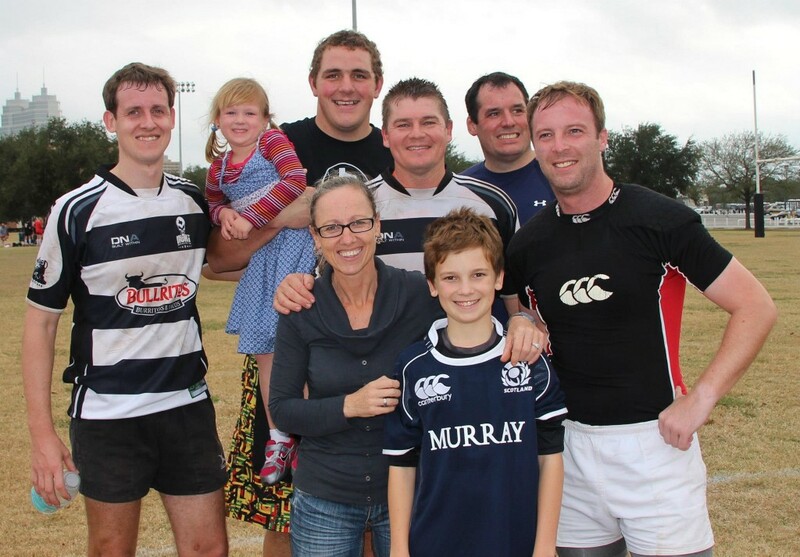 A great day of running rugby under a perfect Texan sky was appreciated by all who came out to support HURT. 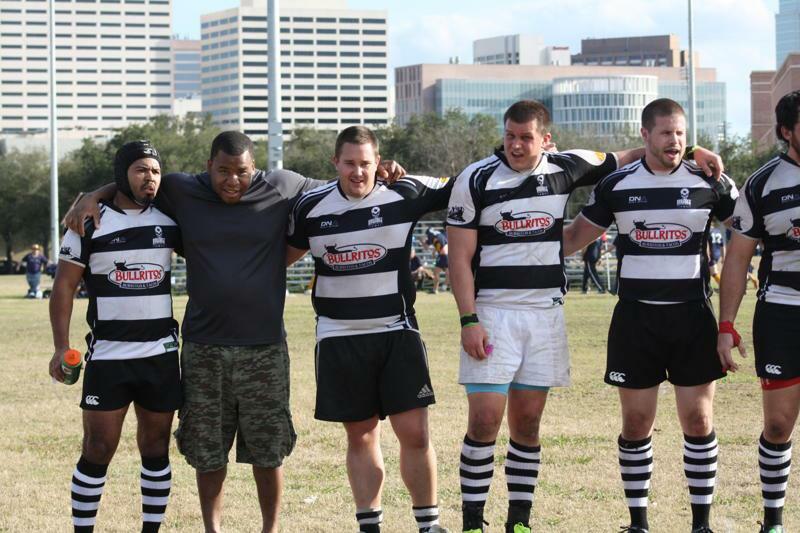 Thank you to all those who made the day possible, a special thanks goes out to Trey Melcher at the Railyard and the folks at Red Bull Houston for making the after match party a success. 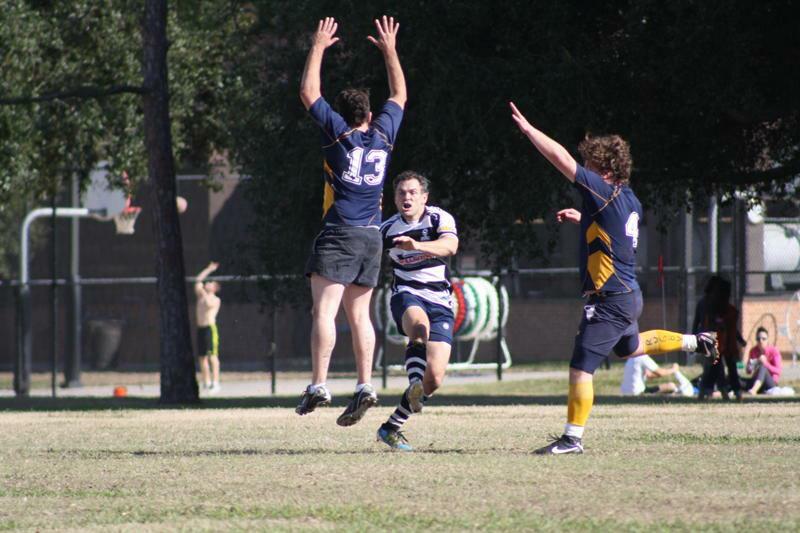 The Houston United Rugby Team stays undefeated in 2012 by beating Oklahoma City [24-13], at Rice University. 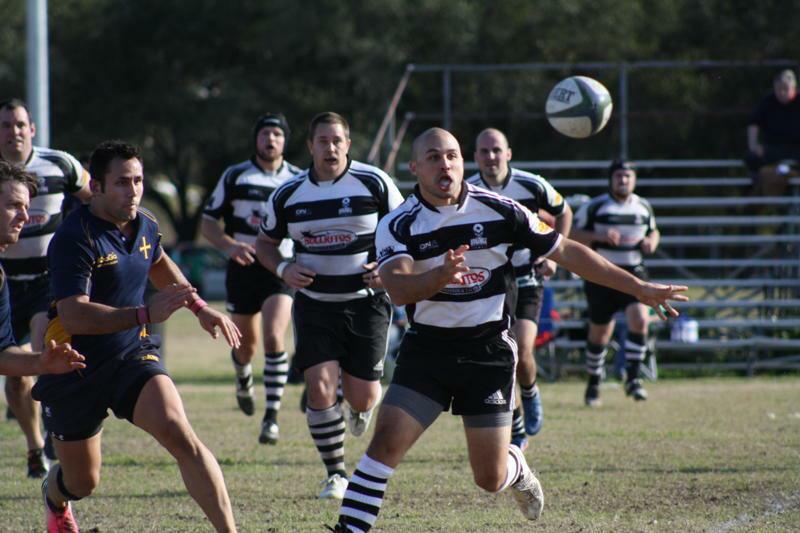 An over cast warm day greeted HURT’s arrival in San Antonio to play Alamo City. 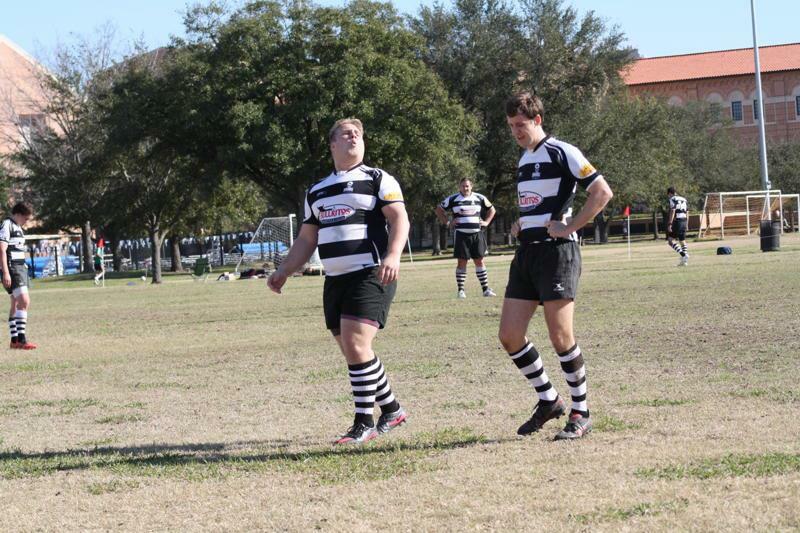 A hard dusty pitch had a fast game of rugby written all over it. So with those conditions to deal with and a brand new set of jerseys to christen HURT got set to receive the opening kickoff. 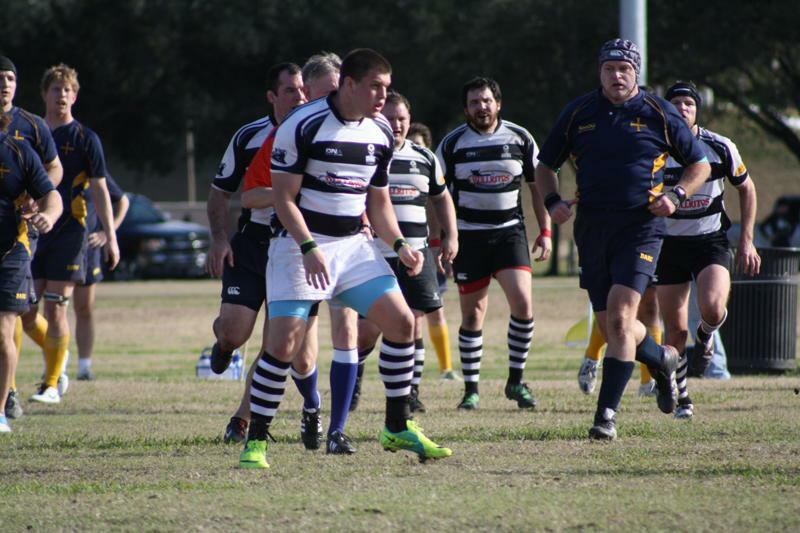 The opening stanza was hard fought in the middle of the field with neither side giving much ground until the 16th minute when Chip Price found himself the extra man on an overlap and ran in the first try of the match. 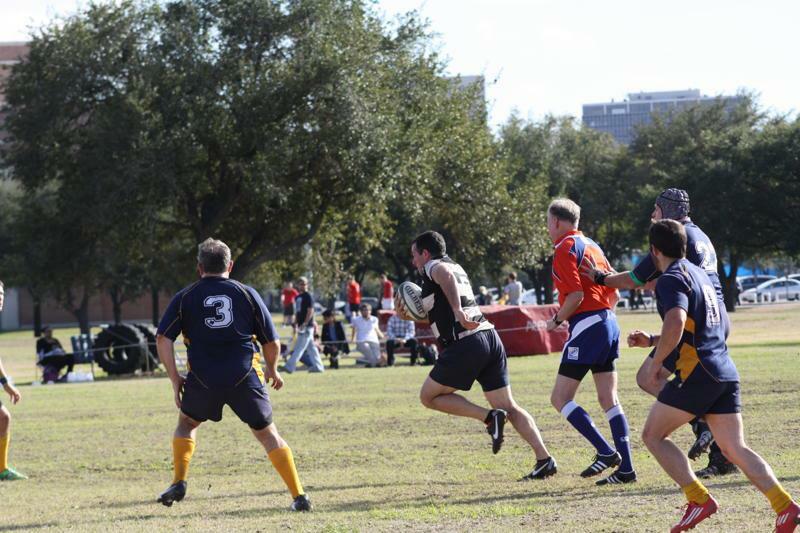 The conversion from Scott Thompson was wide [HURT 5 – ALAMO CITY 0]. The wind in their sails from Price’s try HURT put the pressure straight back on after the restart with new convert Matthew Echezabal making a break before standing up the fullback and scoring HURT’s second try under the posts. 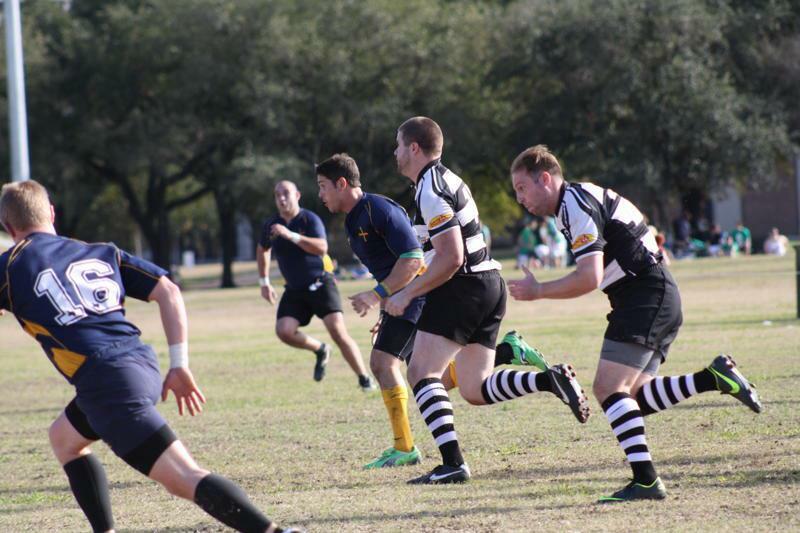 Thompson added the extras [HURT 12 – ALAMO CITY 0]. 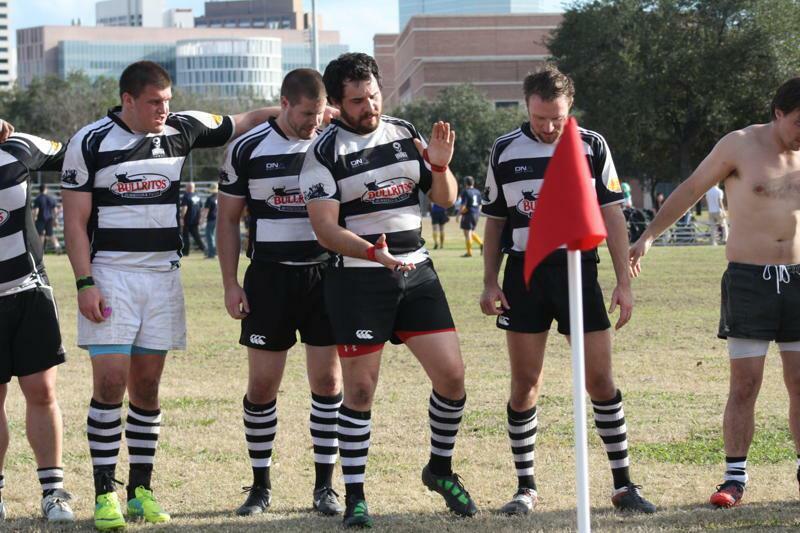 With the game slipping away from them Alamo City spurred themselves into action and taking advantage of some sloppy defense scored their first try in the 26th minute. 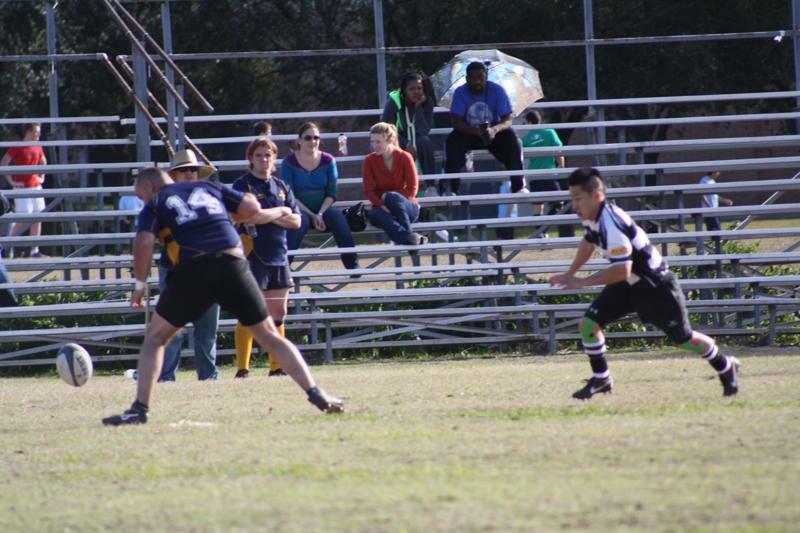 A penalty kick for goal straight after the restart and the score had closed in [HURT 12 – ALAMO CITY 8]. 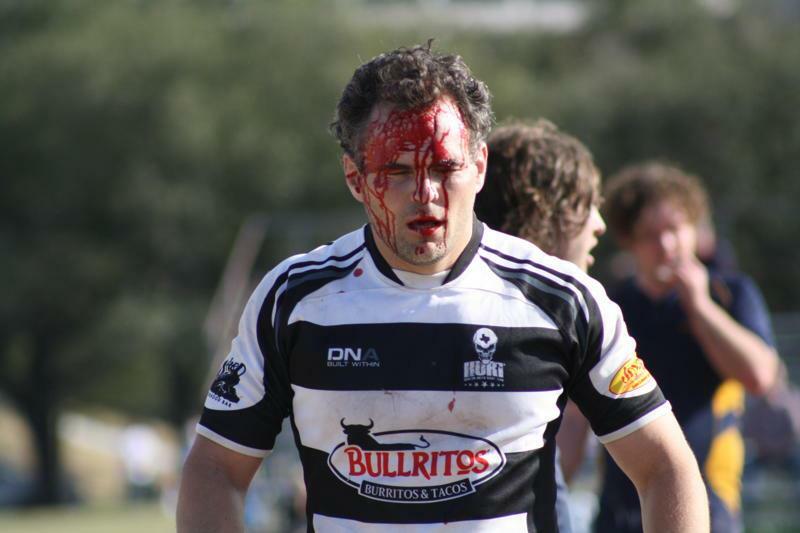 HURT would spend the next ten minutes one man down with a player given a yellow card for shoulder charging. 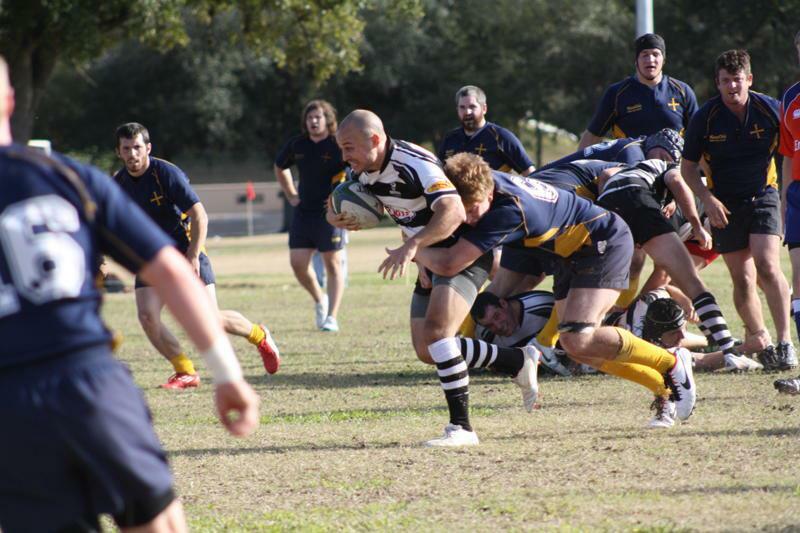 Alamo City capitalized on the ensuing confusion with another try in the 36th minute[HURT 12 – ALAMO CITY 13]. With home support urging them on Alamo City got another break with a length of the field try just before the halftime whistle. 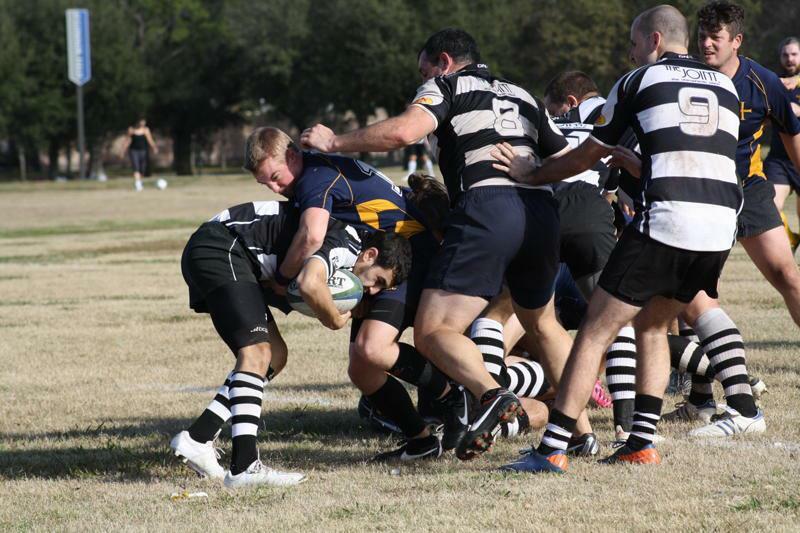 It was converted to give the locals an eight point lead at the half [HURT 12 – ALAMO CITY 20]. 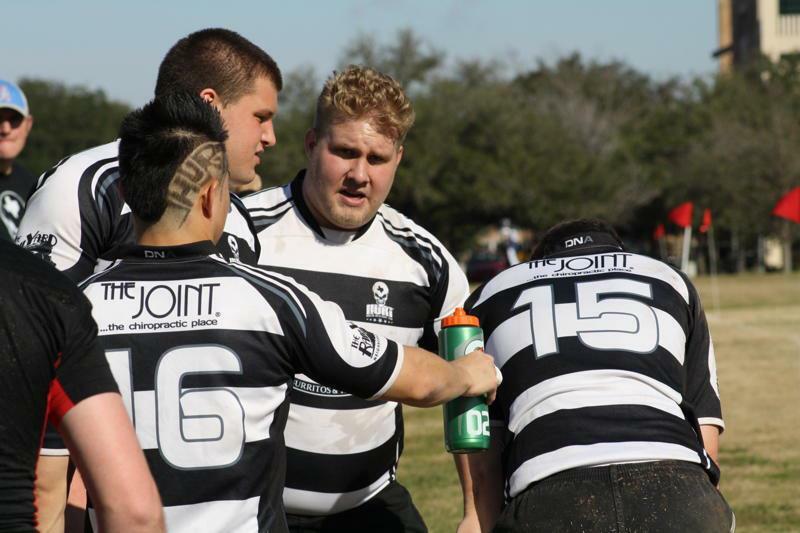 HURT regrouped during the break and refocused on the task at hand and that was rewarded nine minutes after halftime when Marshall Brown crashed through the Alamo City line to score. Thompson converted to bring the lead back to a point [HURT 19 – ALAMI CITY 20]. 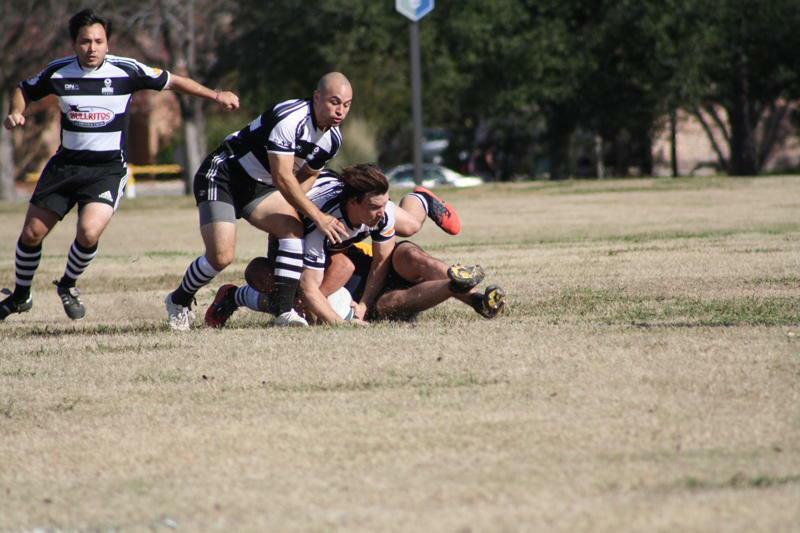 Five minutes later Brown crossed for his second try taking advantage of sustained pressure on the Alamo City line by the HURT forward pack’s relentless pick and go. With the defense compressed quick hands got the job done. 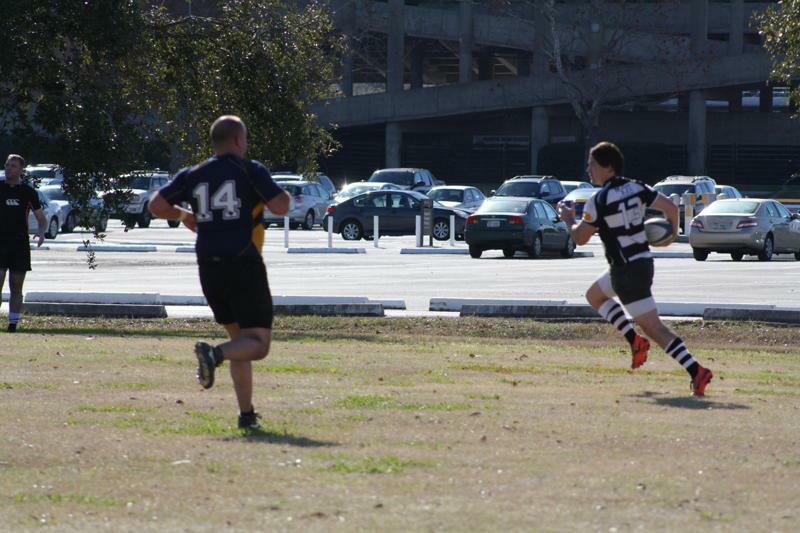 Another conversion from Thompson and the lead had changed hands [HURT 26 – AC 20]. With “blood in the water” and fresh legs coming on from the sideline HURT picked up steam as the surface of the field turned into a dust bowl. 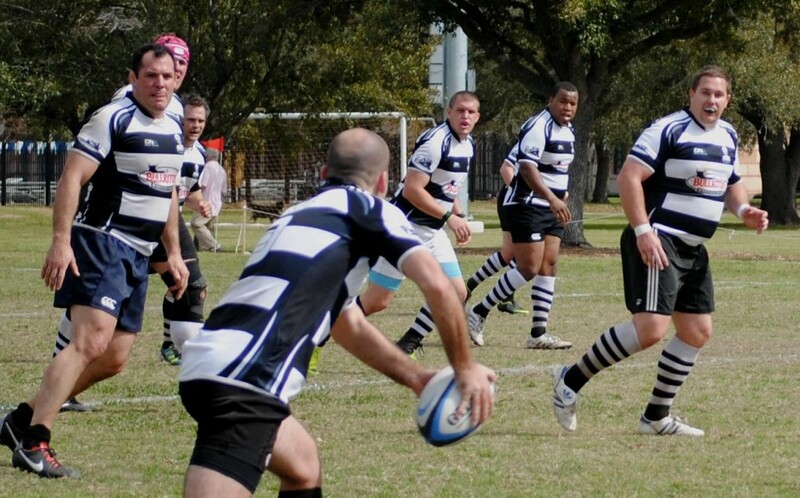 Sixty five minutes in Thompson took a short ball near the Alamo City line and barged over to score HURT’s fifth try of the day [HURT 31 – ALAMO CITY 20]. HURT’s forwards were rolling now and through great handling and rucking the line opened again for Brown’s third try of the day! 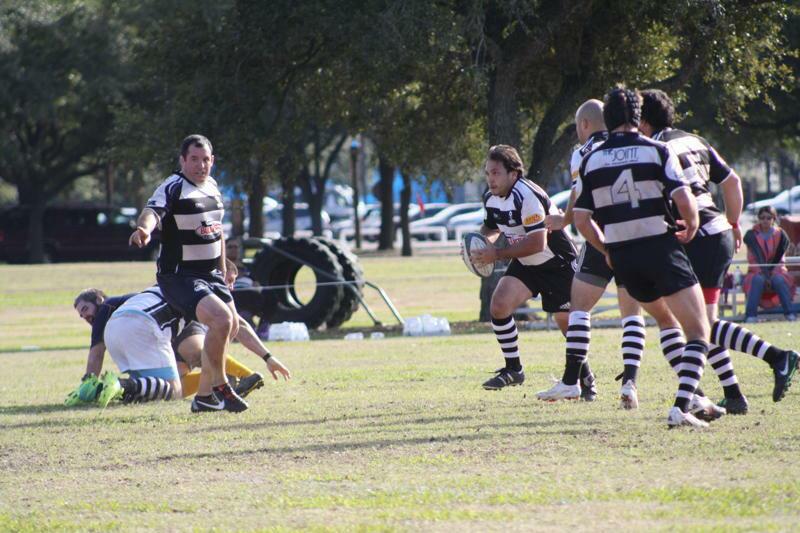 Rafael Casas slotted the extras and HURT could see the finish line [HURT 38 – ALAMO CITY 20]. 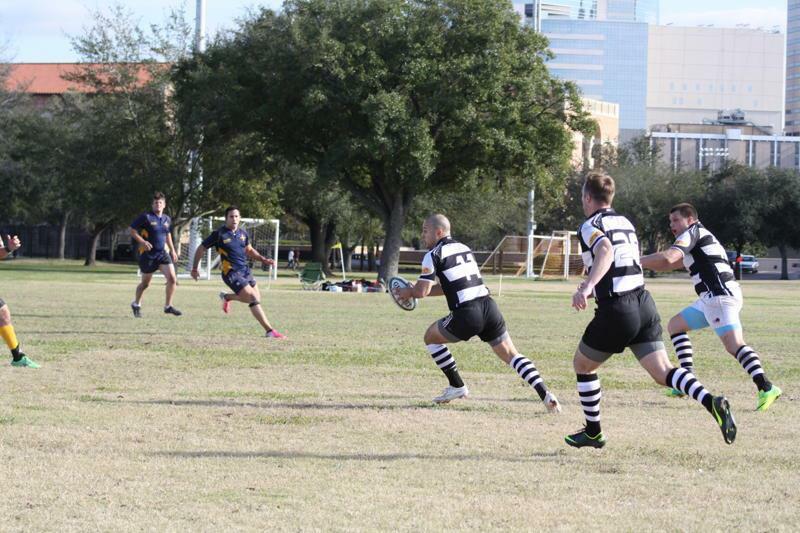 The last ten minutes was a brutal slog in the dust with Alamo City scoring a consolation try in the final minutes. 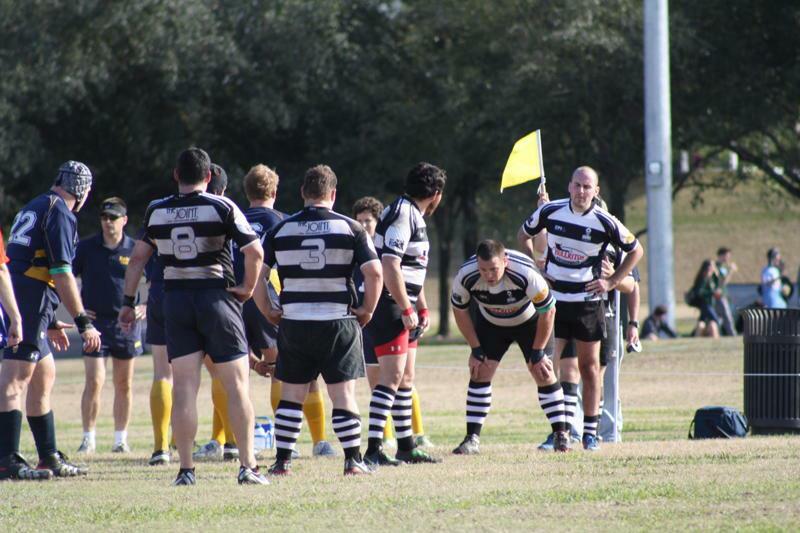 The referee blew the final whistle and HURT had recovered from the eight point half time deficit to finish victors [HURT 38 – ALAMO CITY 25]. Overall a great guts effort from all involved, we still have lots to work on but there were plenty of positives to draw on! Next game against Oklahoma City in two weeks should be awesome!